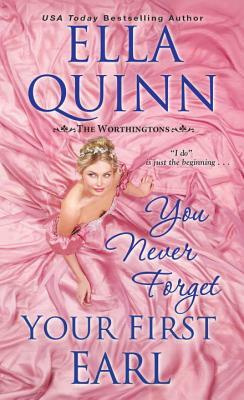 Ella Quinn is the USA Today bestselling author of smart, spicy Regency romances, including The Worthingtons and The Marriage Game Series. Prior to writing romance, Ella Quinn was an adjunct professor, a lawyer, and the first woman to be assigned to a Green Beret unit. She is a member of Romance Writers of America and has extensively researched the Regency era, immersing her stories with the flavor and feel of the period so that readers lose themselves in the time. She and her husband currently live in Germany when they aren’t cruising the world on their sailboat. Visit her online at ellaquinnauthor.com.